Jeremy Cupp of LC Fabrications booked his place at the 2012 AMD World Championship and took home a $3000 cash prize by winning the Freestyle class at the Ultimate Builder show in Charlotte, NC. Jeremy's bike "Old Black", a 1976 883cc, features jackshafted dual chain drive, dual rear brake drums, custom open rocker valvetrain, dual Amal carbs with two rear heads. Runner-up was Hardly Civilized's 2010 World Championship 7th-placed bike "Quantum Leap", with CamTech Custom third with "High Roller". 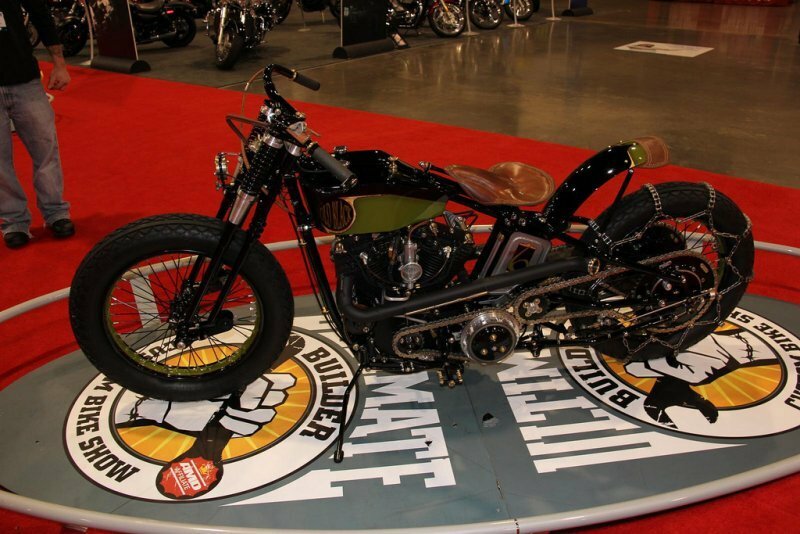 The Modified Harley-Davidson class was won by Ben Jordan of Jordan Designs with "In Hoc Signo Vinces", a 1947 Knucklehead. 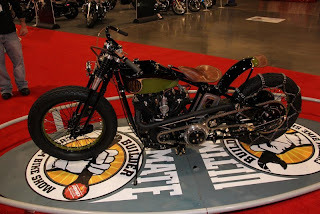 Cale Lohr won the Performance Custom class with "Power Corrupts", a 2008 Hayabusa, and Ben Jordan also won the Retro Mod class with a 1949 Panhead. The regional rounds of the current Ultimate Builder series are now complete. The final event is the United States Championship at Daytona on March 14-17, which is open entry. 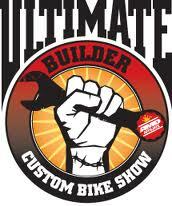 Entries are welcomed at ultimatebuilderbikeshow.com or call Biker Pros on 919-886-5075 for details. Cash prizes are awarded to class winners who also receive a free entry and automatic place at the 9th annual AMD World Championship of Custom Bike Building in Sturgis, August 5-8 2012.